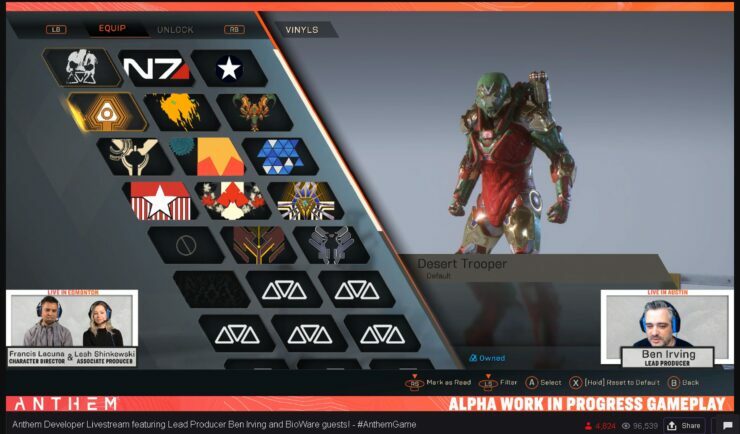 BioWare promised another live stream yesterday via Twitch and they did not disappoint. 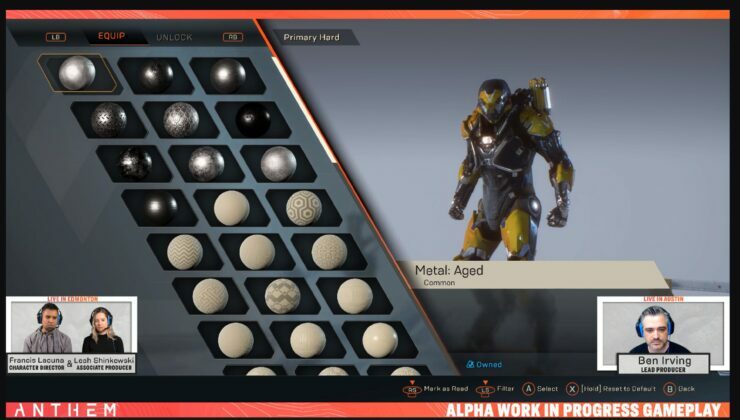 This time, the whole stream was focused on showcasing the visual customization options available in Anthem and suffice it to say that they are mindblowing. 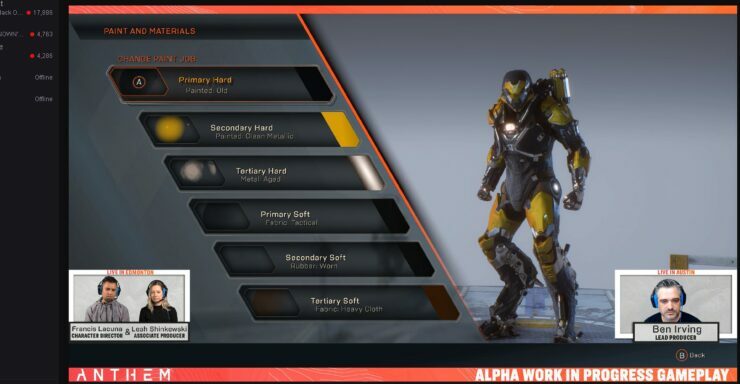 First of all, it should be stated that character stats and visual customization are entirely separate in Anthem. 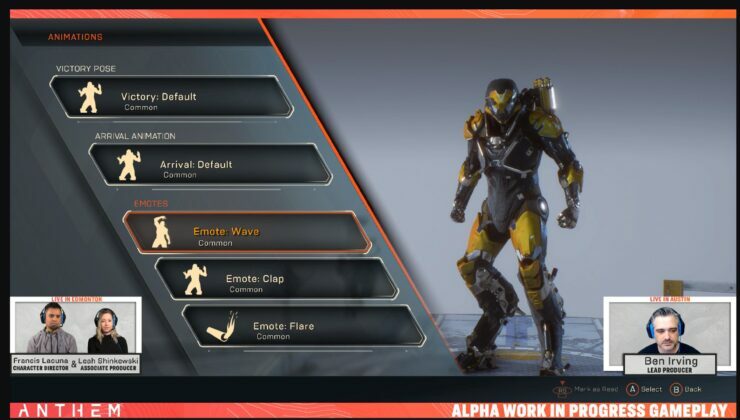 As it turns out, BioWare will allow players to customize to their hearts’ content eight parts of their Javelin suits. 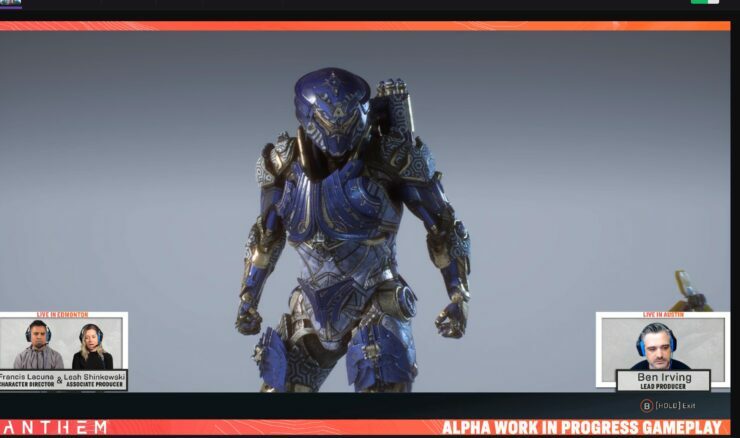 With regards to the painting options, Anthem will go far beyond the likes of Destiny with its shaders. 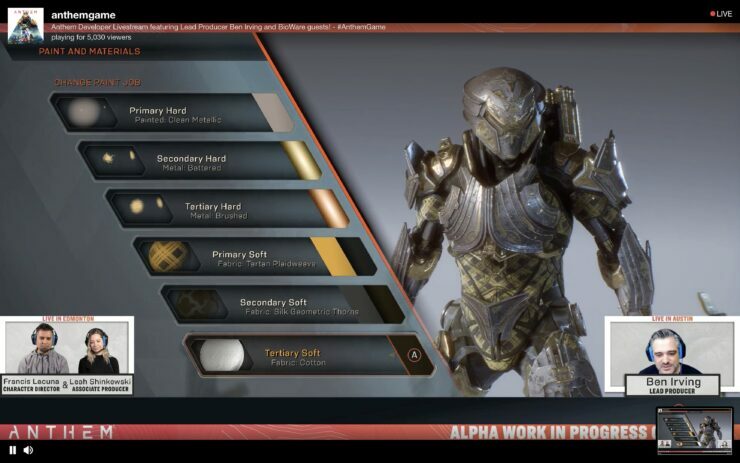 Each armor piece can be tweaked in six regards: Primary, Secondary and Tertiary paint for Soft and Hard materials. What’s even more impressive is that you can tweak far more than just colors – you can change the material’s texture, for instance. With regards to color tweaking, players may create their own patterns via an RGB slider. Furthermore, vinyls are layers that can be applied above the overall paint job; these include, for instance, Mass Effect’s N7 logo. 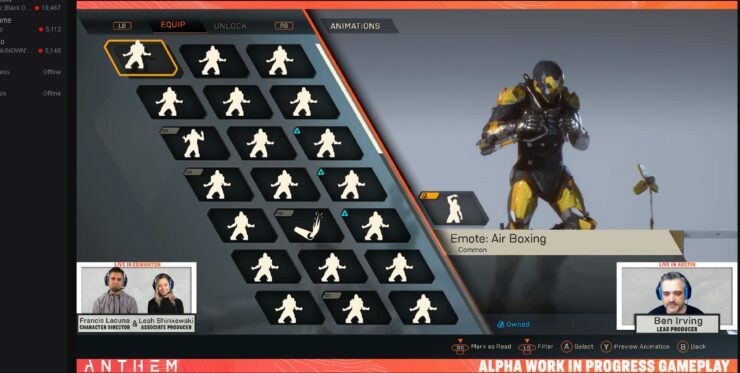 Lastly, animations let you set up emotes, victory poses and even landing or arrival animations. 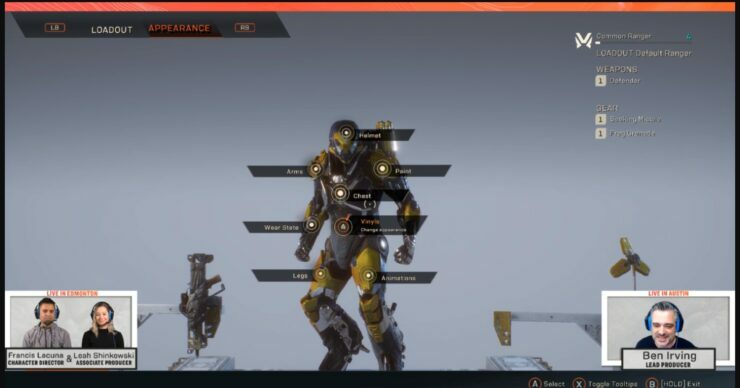 This time, BioWare did not provide details on how these cosmetic options will be unlocked in the game. 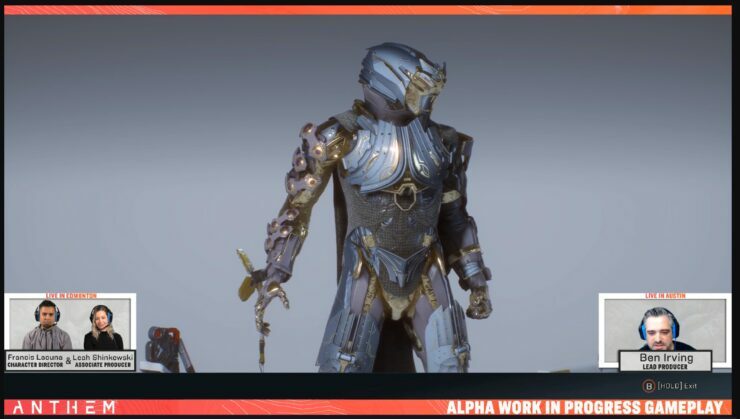 If we had to guess, though, they may be tied to microtransactions albeit without loot boxes. 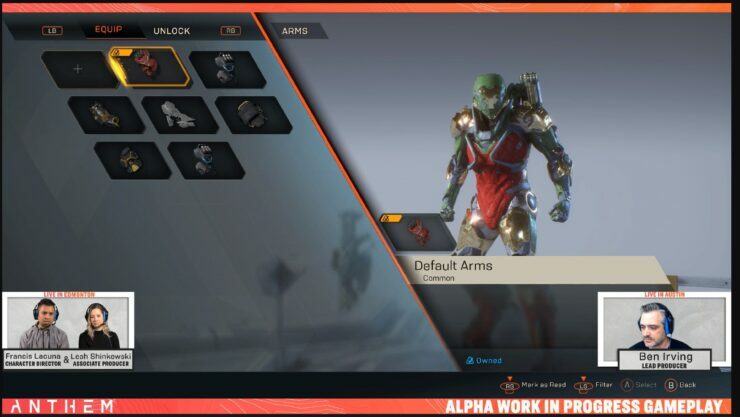 Hopefully, it will be possible to unlock them all through normal gameplay means as well. 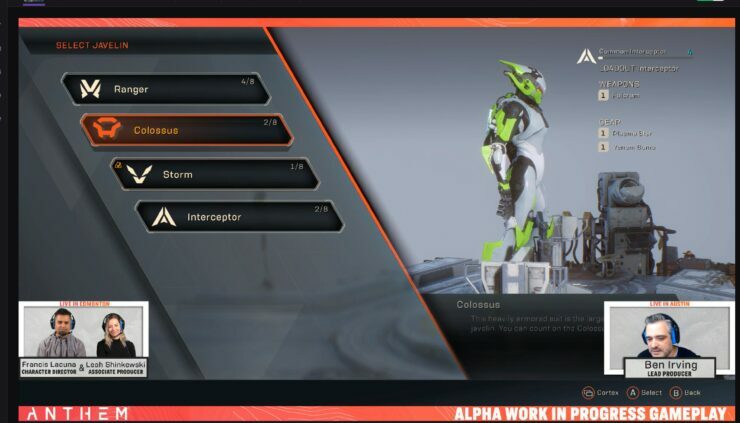 Another live stream has been already confirmed by the developers, though they didn’t share yet which area they’ll focus on the next time. 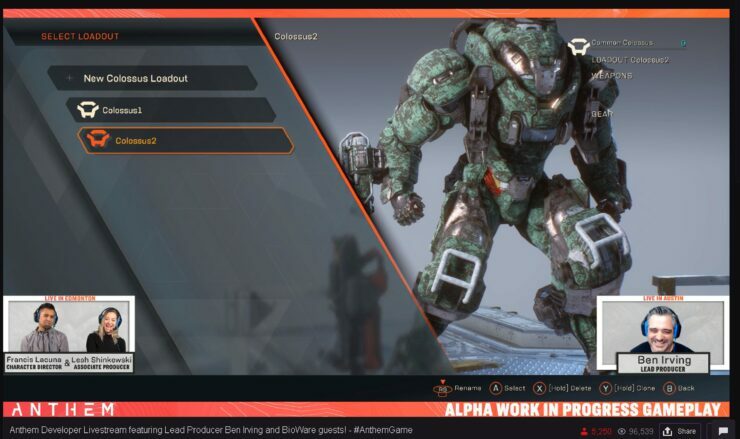 Anthem will launch on February 22nd, 2019 on PC, PlayStation 4 and Xbox One.